Good Morning Fellow New Runners! On October 4th, I did it. I entered the fifth dimension….I entered….The Twilight Zone. I had been looking forward to this race for over a year, the first time I read about it on another blog. It sounded like so much fun and the medal…well..more on that in just a bit. My family arrived in Disney on Friday and we immediately went to our resort to check in. This time we stayed at the Caribbean Beach Resort. I will do a review of our Disney experience in a different post, but once I checked in, I also had to go to a different desk in the lobby to check in and get my free mini-golf passes(that’s right, I said FREE mini-golf passes. With no expiration date…bonus!) and my Tower of Terror weekend pamphlet. After that, we headed over to the Wide World of Sports section of Walt Disney World for our packet pick up. On Saturday I tried to nap, but I was too excited and before I knew it…it was time to board the bus! Funny enough the usual butterflies that accompany me heading to a race were completely absent. I had made a pact with myself that I was just going to enjoy the experience. Everyone told me that with a RunDisney race, you can’t worry about your time, so I decided, I would not (note: I did still have a target finish goal in mind, under 2 hours). The bus was a great experience as people were so friendly. I met three lovely ladies and we chatted about running and what we hoped for from the run. (To finish was the over-arching theme.) 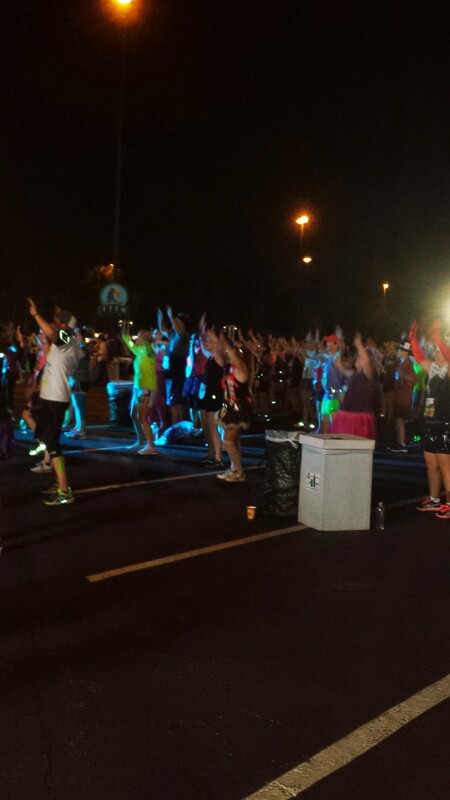 We got to the waiting area outside of the corrals and what fun! There was an absolutely fantastic DJ who had moves to every song, so it was like a dance party, warm up, and aerobics class in one. I know I should have sat and rested my legs but darn it, if I hear a fun song I just half to boogie down. Apparently, I am not alone. I went to a race and a dance party broke out! While waiting, I also signed in to the Hollywood Hotel guest registry. I’ve heard good things about this hotel, especially the elevators. The only fault I found with this part of the process? At 8:30pm (race starts at 10pm), all of the port-o-potties were out of toilet paper and the portable sinks were out of soap and paper towels. There was no one near to report this to. Next year I hope they have extra supplies of such essentials, especially for us lady runners! At 9:15 we loaded into our corrals and walked to the start. It wasn’t long now…the excitement was overwhelming. Then, promptly at 10pm we were off!! I always force myself to slow down at the start of a race, and this one was pretty easy to do just that because it was crowded at the start. Not “running into others” crowded, but certainly too crowded to sprint out although I saw people doing just that. I was nervous because I was told not to bring headphones and when I got to the race start everyone was wearing headphones, but honestly, I didn’t need them. Within a mile there were DJ’s, a character meet and greet (Jafar) and water and powerade. In fact I could not believe how fast the miles ticked by, it seemed like I had just completed a mile when buzzzz, my Garmin vibrated another mile down. By far, my most favorite part of the run was when we ran into the Wide World of Sports Complex. It was a well lit trail that added such a different vibe, I thought it was really fun. I also LOVED running through the baseball stadium. People were cheering and screaming, oh it was a blast! Additionally the volunteers on this part of the course were simply amazing. They were clapping, had kazoos and clappers and were cheering us on. They deserved a medal too, in my opinion. It was also a wide world of sports that I got some super fun pictures. I had to get a picture when the infamous grave diggers, and surprisingly their line wasn’t that long at all, maybe 5 people in front of me? 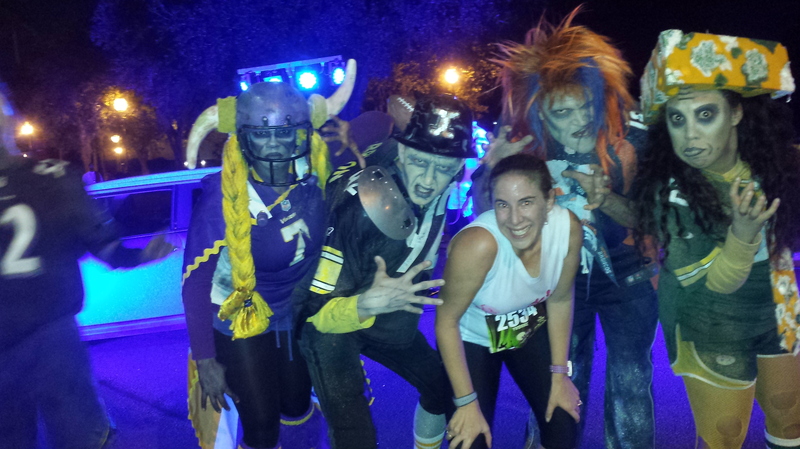 I also got a picture with the “zombie tailgaters” who had literally zero line. 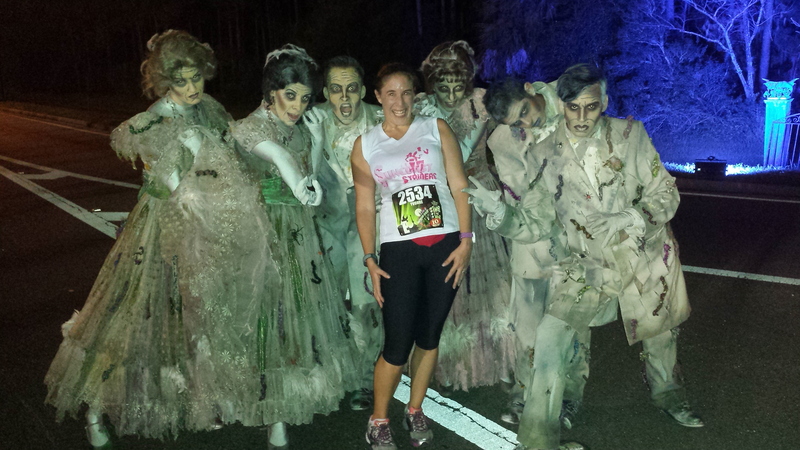 Then at mile seven I stopped to get a picture with the “corpses”. Every picture I took I was amazed, the people playing the characters NEVER broke character. They were all fantastic! Once I left Wide World of Sports I knew the end was close. We ran into Hollywood Studios and they had a DJ who was not only playing music but hilarious. At this point, I sent a text to my husband letting him know I was on property and had about 2 miles to go. We ran into the lights motor action speedway and through the back lot. Then we ran down New York City (so cool!) and around the Mickey hat. It was here that family and friends were cheering and another amazing DJ was playing music and saying “you got this, you can do it!!”. It was mile 9 and I can’t lie, I almost starting crying (I get a little emotional when I run). More twists and turns and then through the seamstress section, which was super neat to see all of the clothes. They also had a disco ball and music, I felt like breaking out into a dance. Then a straight away with more amazing volunteers cheering and clapping. 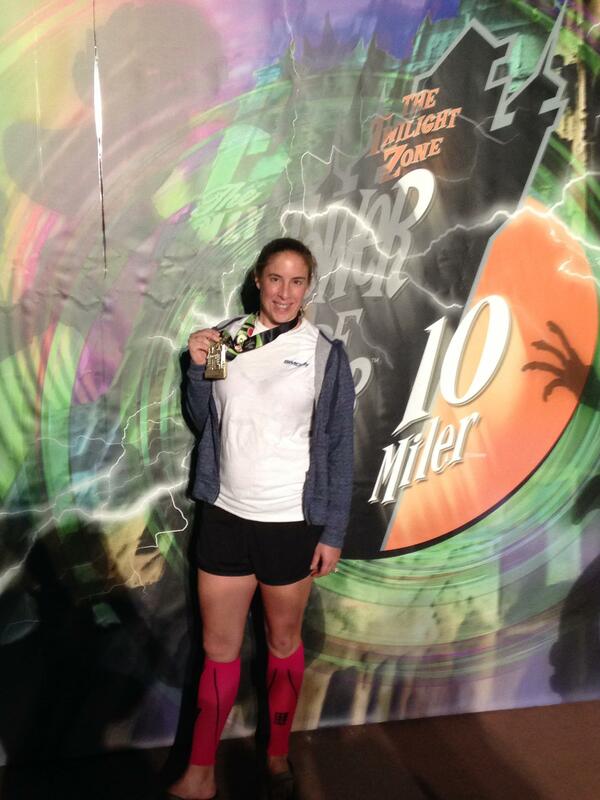 My Garmin buzzed 10 miles…yet I was STILL running! What the what? I saw a huge screen ahead that had various race photos, the Twilight Zone music and once I hit that, I turned a corner and there it was…the finish line!! I high fived Goofy and cross that line in my goal finish time! Bonus was that unlike my Gasparilla experience my husband actually saw me cross! As soon as I crossed I got a chill towel (ohhh so nice!) and a snack box. I also snagged my most awesome medal. Folks, the elevator moves and the windows glow in the dark. Yep, coolest medal around! Photo Credit: My husband..who waited up until almost midnight to see me cross the finish line. Once my daughter sees this, I will never get it back! 1. The walk to the bag check to pick up your bag is looooonggg. For the love of God, I just ran 10 miles, can you make this pick up a little closer? Also, if you had to pick up your bag, there was no way to tell your loved ones waiting for you where to go. I wish they would have made that a bit easier. Lesson learned: I will always tell my family to go to the bag check section or changing tent area to find me. 2. The snack box had all carbs in it. Almost no protein. I don’t know if it is just me, but after I run I have got to get some protein into me or else I get a wicked headache (which I had the entire next day). Lesson learned, next time I will bring a protein shake in my bag check. 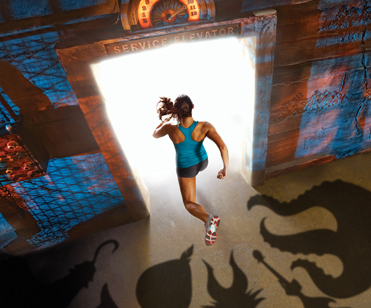 I am very bummed to see that RunDisney has elected not to do this race in 2015 (no explanation why), but I hope that this a temporary stoppage. That walk to the bag check! Sweet Jesus. The fact that family must buy a villains bash ticket to see you finish. We are annual passholders. For almost every other race (except for Wine and Dine) my husband could have used his pass to get into the park to see me finish. But because it was a night race, he had to buy a special ticket. I am still kind of miffed about that. I loved this race and I want to do it again. I hope RunDisney does bring it back, and better than ever. A run through the Magic Kingdom..by the Haunted Mansion ride perhaps? How amazing would that be? 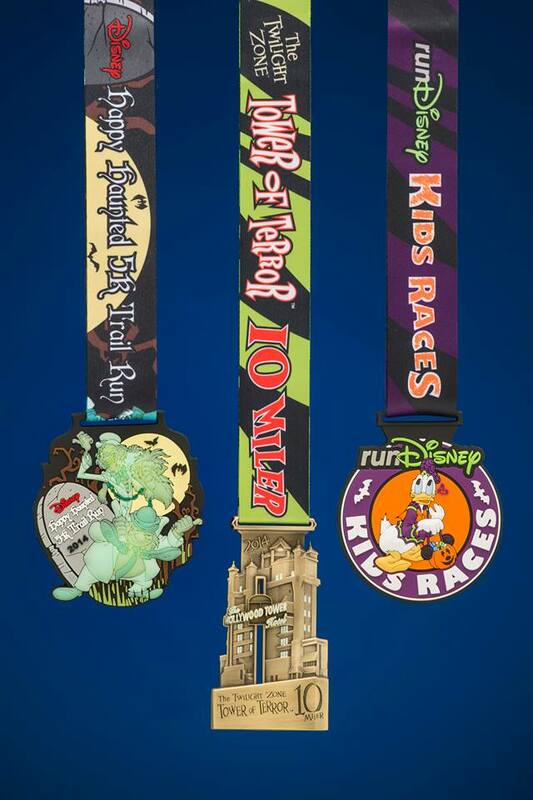 Question: Have you run the Tower of Terror 10 miler? What are your thoughts? Hello, Hello Fellow New Runners! Yes, once again I took a hiatus, but now I am back!! Oh I have SO much to tell you!! Why have I been gone for so long, well…I got one of those 9-5 type of gigs…that’s right after 3 years off I finally got a full-time job again! Why am I so excited? Hang on to your hats folks, I actually LIKE to work. I know, weird right? The fact is, I enjoy what I do, I love the coworkers and I even enjoy dressing to go into the office. The one thing I am not a fan of? Traffic. Blah. 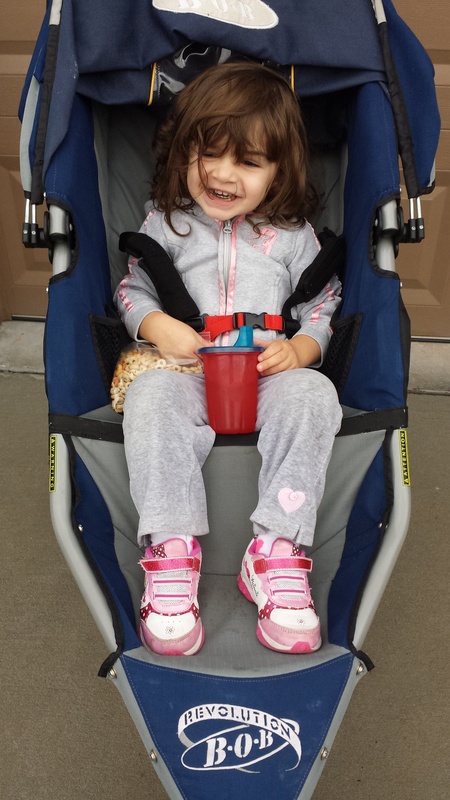 So now, I am not just a wife, mom and runner, I am also a working wife, mom and runner. The transition has been a bit easier than I thought, but there have been bumps along the way. Fitting my running in has been a challenge, but I am making it a priority, so you know what? It gets done. 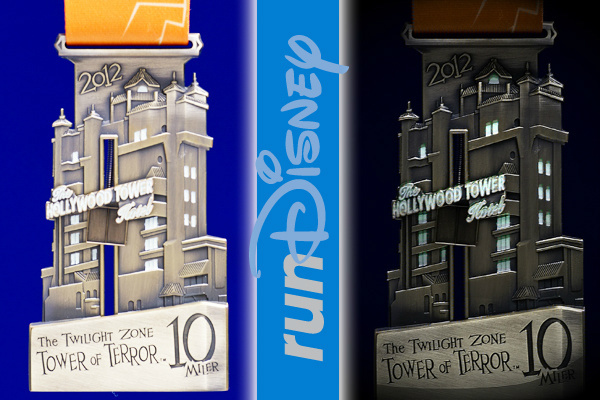 Oh I ran this little race called The Tower of Terror 10 Miler!! 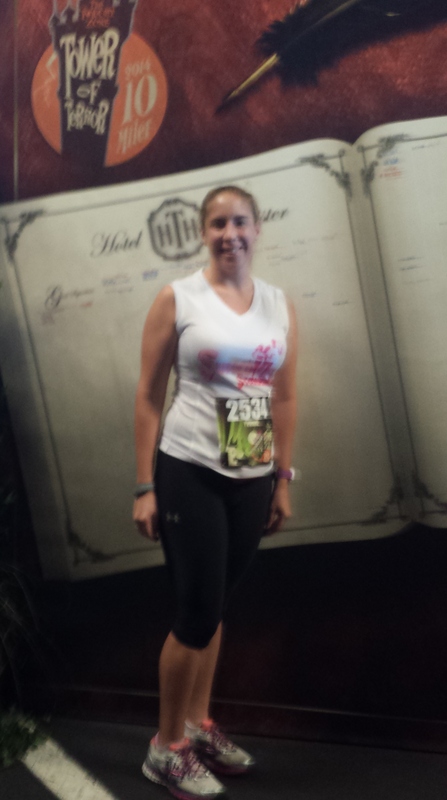 Yes, my longest race ever and my very first RunDisney race. I will write a post on the blog about that race in a bit but as a preview…it…was…AWESOME! My daughter also did the Kids Races, and let me tell you, that was the best $15 I’ve ever spent. I have had a couple of longest ever runs, most notably not one but two 13 milers. The first one was a little rough as both myself and my running partner were not feeling well. The second one went much, much better. I can’t wait to fill you all in on everything that has been going on! See you on the asphalt and as always…Enjoy the Run! 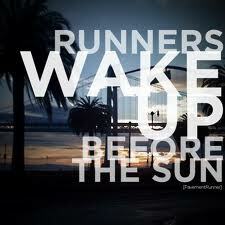 Good Morning Fellow New Runners!! 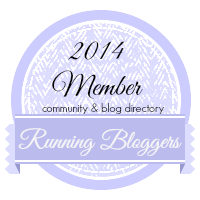 **Yes, I am aware I “borrowed” my headline from the amazing ladies at Another Mother Runner. Click on the link to see what you are missing…it is a website chock full of great stories, tips and links to their hilarious and amazing books. Well, I did it. My first ever 13.1 mile training run. It took longer than I wanted and I certainly ached more than I expected during it, but I can no longer ask myself “if” I can complete a half marathon. Now I know I can. 4:30am wake up call on Saturday? 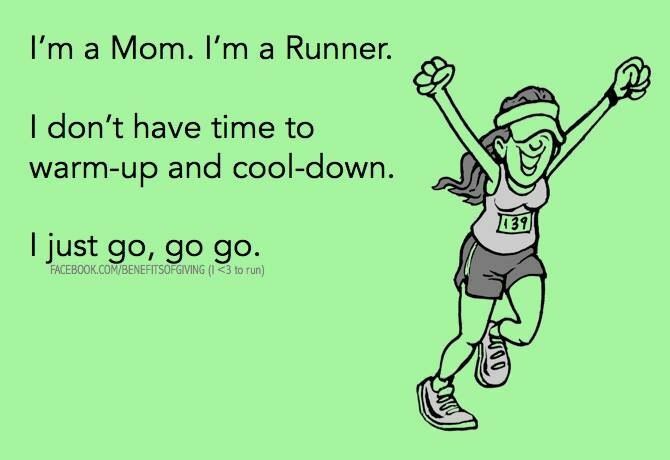 Must be a runner! VERY early (5:15am) last Saturday morning, I met up with my running partner and we headed off on long run. Neither of us had a good running week the prior week. We were both battling sickness, me a nasty head cold/chest congestion/sore throat thing and she a stomach virus. So neither of us completed our weekday training runs like we should have. But, like the troupers all us runners are, we set off on Saturday morning determined to at least get some miles in. The first couple of miles weren’t hard, but it was darn hot out so we stopped for water breaks almost every mile. My running partner had more stomach issues during the run so we kept walking for longer than either of us wanted. With the walk breaks, our legs and feet started aching. However, that eternal struggle that all distance runners know made us keep going. We had to get back to where we parked our cars. So, the last 3 miles we put our headphones in and trudged through. I kept going until my Garmin read 13.10. Man oh man was I excited to see that! 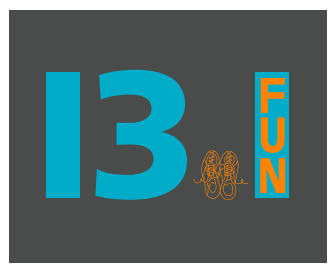 Even though my running partner has completed quite a few half marathons and is currently training for a marathon, this was her first 13.1 training run as well. We had to get to our cars to take us home…to the food!! Once we got back to our cars, the aches and pains subsided into joyous elation that we had done it! We downed a bottle of water each (we had both gone through the 4 8oz water bottles on our hydration belts during our run, summer running in Florida is fun!) and headed home, she munching on a banana, me on my protein shake. What a way to start the day. So, you’ve decided you want to try this whole “running” thing. You’ve laced up your shoes and took your first steps. Way to Go! As you get into running more and more you will realize there is lots to learn! The “I am not a REAL runner” mantra: You know…only those people who are training for a marathon are the “real runners”. Those people who can run really fast or who can go really far are the real runners. Not me. Excuse me…do you run more than you walk? Do you go a little bit farther every time? 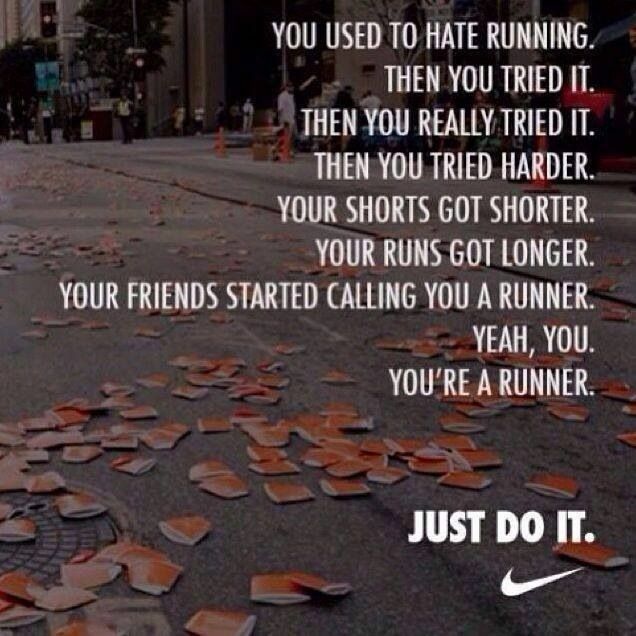 Then you are a runner. End of discussion. Not wearing proper shoes. 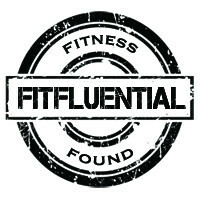 Make sure you go to a running store (Floridians..FitNiche is simply amazing) and get a proper fit. Ensure you know their return policy in case you need it. You will most likely increase your mileage as you get into your new passion and your shoes will make all the difference. Hydration and good nutrition everyday are key. Believe me, no one was more bummed than I was to learn that sweets and beer do not count as “carb loading”. Your runs will be easier when you take care of your body and what fuels it. Also, hydration is so important, especially if you are running in the summer. At least 10 glasses of water every day, and I would argue that at least one of those glasses should have an electrolyte replenishing drink if you are going for a long run the next day or just came from one. 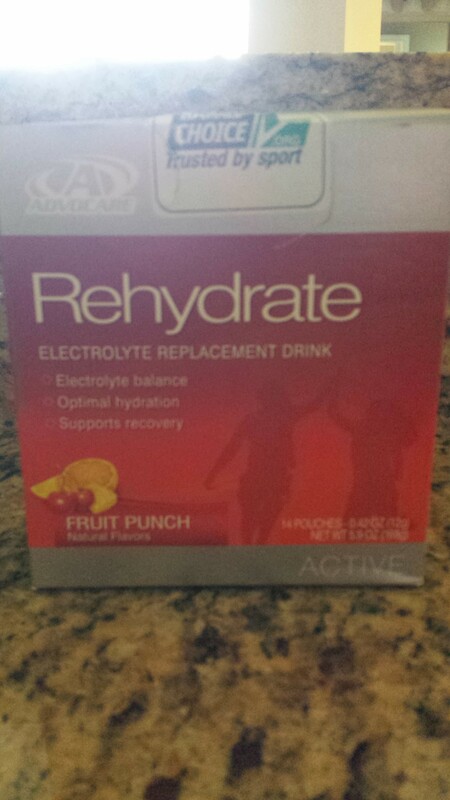 Better tasting than Gatorade with lots of nutrition to help you put back what your workout took out. 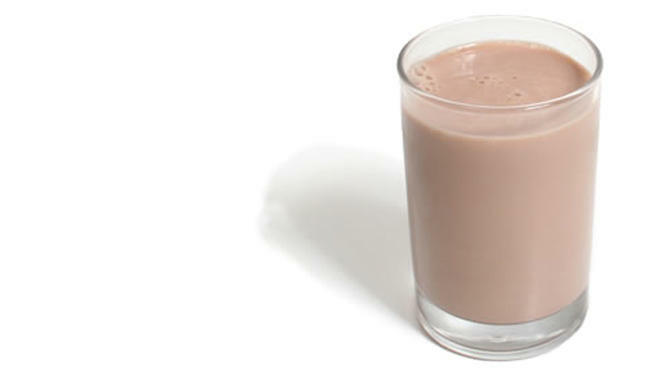 EAT/DRINK PROTEIN SOON AFTER A RUN. This seems logical, but let me explain. I would get debilitating, pounding headaches after long runs. I would drink water like crazy, but I was never really hungry so I would wait a few hours after my run to eat something. Big mistake. If you are going for a long run, have something to eat very soon after. Go for something with a nice mix of carbs and protein. 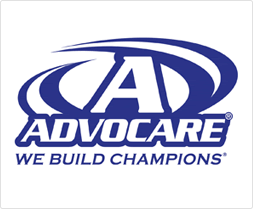 Once I started having a protein drink 10 minutes after my long run, my headaches completely vanished. Any excuse to have chocolate is all right in my book. Find a running buddy. Usually I run alone, happily listening to music, a podcast or just the thoughts in my head. However this can get lonely! The best runs I’ve had are the ones with other runners. The time goes by faster because you are chatting and, if you run with someone just a bit faster than you, your pace will ultimately improve. Plus you can ask all sorts of running questions because if there is one thing other runners love to talk about, it is running. Yep, she counts as a running buddy, our conversations are hilarious! Did I miss anything? Please give me one piece of advice you’d give a new runner!! I’m baaack! It as been a few weeks, yes weeks, since my last blog post. My half marathon training has been more draining than I was prepared for. I’ve been following the plan, taking the prescribed rest days and pushing my mileage only when I felt up to it. However, my exhaustion level has been higher than usual. Why? I think I know. Should I be asleep now? My body has no idea! Runners need more sleep than most, 8-10 hours at least. Don’t believe me? Read about it here or in this true life tale here. I don’t know about you but 8 hours of sleeps seems like a glorious dream. Between family, home and just every day life, getting 8-10 hours of sleep is hard for even the most organized and disciplined. Add in my varied running schedule (some days it is early morning, other days it is late at night, somedays it is mid-day..) and my body has no idea when it should sleep. So inevitably I am wide awake at midnight and having trouble keeping my eyes open at 2pm. It’s a mess. For the past week, I’ve been trying to get to bed earlier, when I can. I’ve found an app that tracks my sleep so I have a better understanding of my sleep patterns and how much sleep I’m actually getting. I’ve utilized the treadmill so I can run during the day vs. waiting until night to run (because running at 4pm in Florida in the summer is just a bad, bad idea). I’ve also worked on getting more water and making sure I limit my sugar intake as this also affects my sleep. Will all of this help? I can only hope so! The good news? My running is really coming along nicely. Last week I completed my longest ever, over 12 miles and my speed is improving as I had a sub 10 minute mile! I am excited about how much stronger I feel during my runs and even though I’ve been tired and the past few days I’ve been battling a cold, my legs still move when I ask them to. I know this is a good sign as running is becoming more second nature than it was before training began. Yes!!! 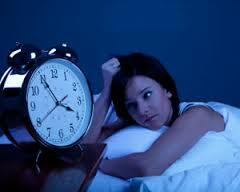 Question: How much sleep do you get a night? Last week started off so amazingly. On Monday I did my “fun” workout and this time, I selected swimming laps. I love swimming, even did it competitively in my youth. Did a nice variety of different strokes including, Freestyle, Backstroke, Breaststroke and even Butterfly. On Tuesday I hydrated like crazy, ate a fantastically good dinner with just enough protein, carbs and veggies and couldn’t wait for my longest mid-week run to date, seven miles. Then…the rains came. Having lived in Florida off and on for over 15 years, I know a little about the weather. I knew enough to wait it out and the storms would stop. Keeping a watchful eye on the weather radar, when I saw my chance I (literally) ran out the door. Oh. My. God. Those miles were simply awesome. I felt strong, I felt fast, I was completely in control of my run. I felt like anything was possible. The miles simply ticked by one after the other and before I knew it I was on mile five. Just two more to go. One thing about Florida…it is flat. There are no hills, no mountains, so I was able to keep a watchful eye on the sky throughout my run. The problem with this is things often seem close when they are far…and some times…like Tuesday night…seem far when they are, in fact, super close. I heard the thunder…I saw the lightening. I just didn’t think it would hit as fast as it did. Around mile five and a half the skies opened and the rain plummeted to earth. I hid under a neighbors front porch for a good 10 minutes then when the rain let up, tried to make a break for it. No use. The skies opened again and the deluge began again in earnest. You may recall I have written many times about how I love a good run in the rain. Still do. However this type of rain had thunder and lightening with it and was coming down so fast I literally couldn’t see. I hid under another neighbor’s porch, this one had cameras (hi neighbor!!) and sullenly came to the realization that my amazing run was going to end prematurely. My husband was already asleep (he goes into work at 2am) so I called my dad who came to pick me up. As I sloshed into my house I still felt good about my run. I mean, if the lightening of a good run can happen once, it can strike twice, right? Good Afternoon Fellow New Runners! 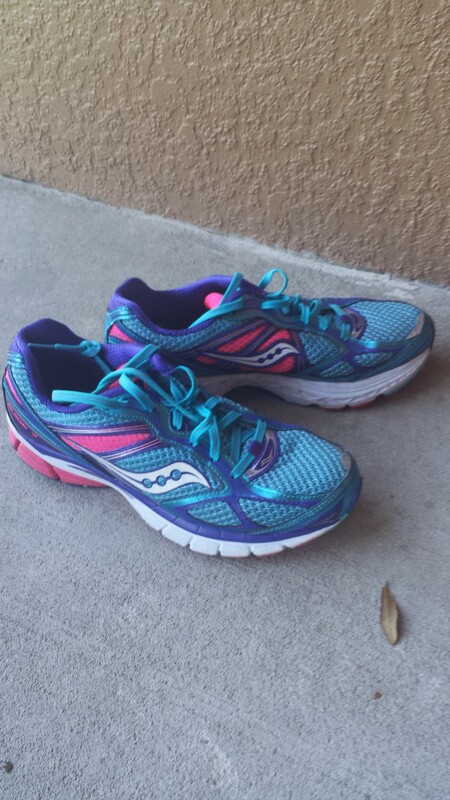 Last week was week three of my half marathon training. So far the Train Like A Mother 1/2 marathon Finish It Plan has been super easy to follow. I feel stronger and my runs are really getting better. I’ll publish a brief recap of what I did last week, but wanted to dive in deeper to one specific workout. Hill Repeats. 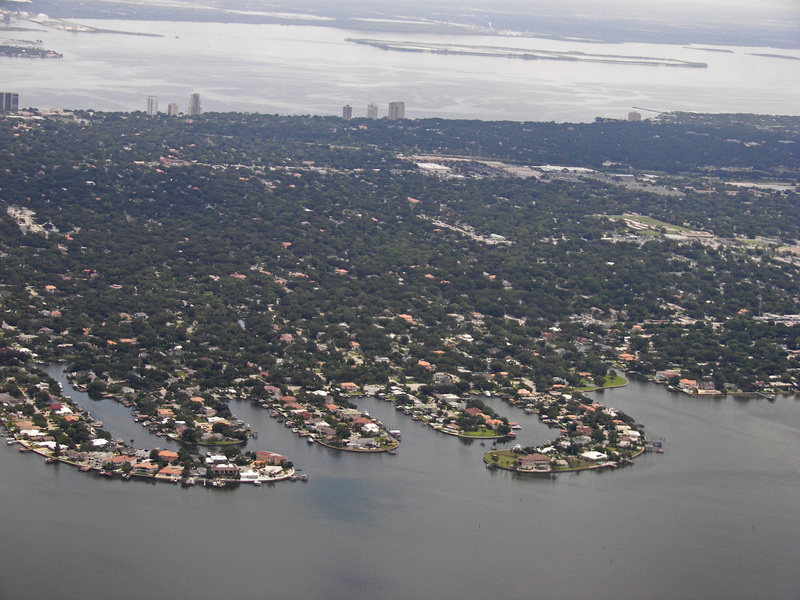 I’ve never done these before as I live in Florida…super flat Florida (our hills are either bridges or landfills…true story!). Luckily for me, the races I’ve signed up for and have run have all been in Florida so there hasn’t been a real need for me to try to tackle hills. However, the training plan called for hill repeats and I’ve heard there is a hill in the Tower of Terror (on-ramp on the highway, I told you all of our hills are man-made!) so I thought I would give this “hills” stuff a try by using a treadmill. On Thursday morning I set off, did a nice 1 mile warm up, up to the mini gym in my neighborhood. There was no one there (thank God, you’ll see why in a second) and I jumped on one of the treadmills to start the hill repeats. I quickly realized I had to adjust both the incline and the speed..at the same time. This was tricky and I never did master it. It took a few seconds for me to get the treadmill up to speed and the incline I wanted. Next time I am going to use the timer on the machine vs. my Garmin, hopefully I’ll get a more accurate interval time in. My first interval I apparently thought I was superman as I had an incline of over 7 and a speed of just about 6 minutes per mile. I realized I made a terrible decision pretty quickly as I had to hang on for dear life lest I go flying into the free weight area. (who puts free weights right behind the treadmills..I mean really!). The next incline was a bit better, I lowered the hill just a bit (6) and decreased the speed a ton (8-9 minute mile) and had better luck. However my euphoria ended on intervals 3 and 4 as I started wheezing and my hamstrings and glutes were yelling at me to stop the insanity. As soon as the torture session hill repeats were over, I jumped off the treadmill, cleaned it and headed home. The mile run back home was hard as my legs felt like lead. I walked in to the house and promptly plopped myself down on the floor (I was too sweaty for the furniture) and said “never again”. The problem is I have to do this all over again in two weeks…and add 2 extra intervals on. God help me. Monday: 3 mile run with 4 strides. Felt strong, fast and just down right amazing during this run. Tuesday: 6 mile evening run. I had some…ahem gastrointestinal issues that made this less fun than it should have been. Friday: Should have crossed trained, but didn’t. Does mopping count as cross training, because I did that. Saturday: 8 mile long run. This was a great run, finished strong in the summer heat and humidity. Actually went longer than 8 (almost 9) and was quite pleased at how well I felt during the run. Question: How do you handle hill repeats if there is no hill near you? How to have a terrible run. My week of boneheaded decisions. Last week was week 2 of my 10 miler/half marathon training plan. Remember in my last post how my runs seemed so much easier? This week that did NOT happen. Mainly because of boneheaded decisions by yours truly. I share in the hopes that you all do not make the same mistakes I did. Monday: This was “fun workout” day on the calendar. I did a 30 minute pilates video and a 30 minute aerobic video. It was fun, the munchkin even joined me in doing some of the moves. I used muscles I don’t usually use in running plus had fun in the process. Boneheaded move: Forgot to stretch afterwards. This would haunt me for the better part of the week. Tuesday: After an air conditioner meltdown on Monday night into Tuesday morning, I got about 4 hours of sleep. My parents were willing to take the munchkin (we still had no a/c in the house and it was going to be 93 degrees) so I ran her up to their house and decided to get my 5 mile run in. Boneheaded move: 4 hours of sleep. Zero hydration. The run started at almost 9am. It was brightly sunny and around 86 degrees. I brought no water with me. My lack of stretching from the day before was haunting my legs. Horrific, horrific run. If you can even call it that. Brisk walk with lots of huffing and puffing might be more appropriate. Thursday: 4.50 mile run. After the fiasco on Tuesday, I got out early for my run. This one fared better as I didn’t have the sun beating down on me. However I forgot to hydrate the day before and even woke up with a slight headache due to dehydration. Was also STILL sore from not stretching on Monday. Boneheaded move: Didn’t drink enough water the day before so I was dehydrated when I started the run. I conked out around mile 3 and had a terrible pace for mile 4 and beyond. Friday: Should have crossed trained but went to a 4th of July BBQ instead. Saturday: 7 mile run. Shockingly this one went right. I brought my hydration belt with me, had a plan for my pace and stuck to it. I hydrated well the day before and ate a bit more knowing I had this run planned (can beer be considered “carb loading”? It should). Got up early and got most of the miles in before the sun came up. It was a great run. Let’s chalk this week up to a “learning” week. I did everything you aren’t supposed to do, but came back at the end of the week and had a darn good seven miler on Saturday. It felt amazing, especially after how terrible the runs at the beginning of the week were. Training is showing me that I can dig deep and finish what I started and that I am stronger than I thought. Well, it is here…time to start training!! I have two big races (well, big for a newbie like me) coming up. The middle is mine, the one on the right is what the munchkin will earn! 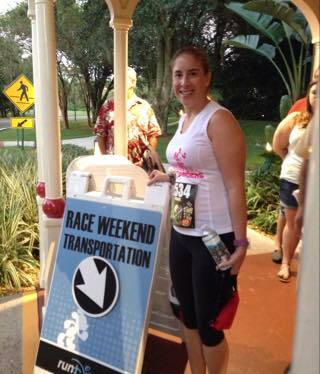 Hot on the heels of the Tower of Terror (or TOT as I’ve been calling it), is my very first half marathon!! Eeek! 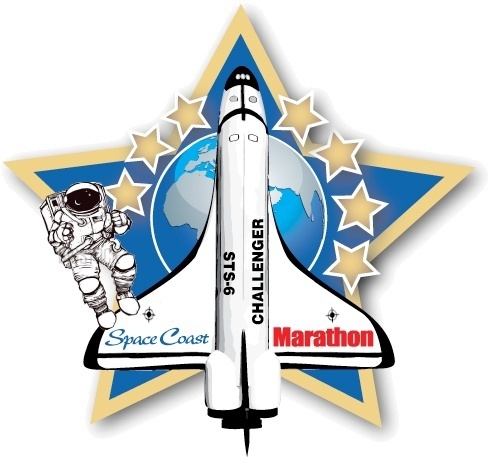 I will be doing the Space Coast Half Marathon in Coco Beach, FL at the end of November. Whether it is the full marathon or the half, heard nothing but fantastic reviews about this race and the medal…oh my gosh…for a bling girl like me, this is all the motivation I need! Space Coast half medal. You will be mine!! In February I completed the 15K (9.3 miles) at the annual Gasparilla Distance Classic in downtown Tampa. It was a very humid day and even though I had run 10 miles multiple times before, I found myself struggling to get through that race. I was very disappointed in myself and really want Space Coast and the TOT to go much better. I decided I need to implement and follow a training calendar. I was confused as to how to train for Tower of Terror, then continue training for Space Coast, especially where they are two different distances. 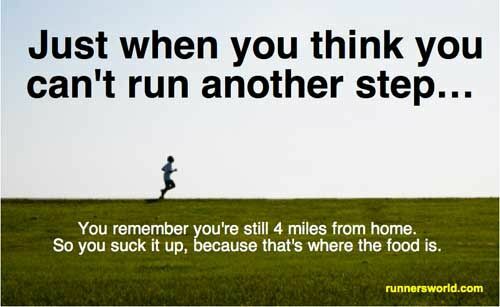 Luckily I belong to a fantastic running group, the Suncoast Striders, and was able to ask for advice. It was simple they said, use the half marathon training calendar I want for the Tower of Terror. When that race is done, count the number of weeks until Space Coast and resume the training for the according week. That way, hopefully, I’ll be super prepared for both races! I have elected to use the Train Like a Mother “Finish It Plan” training calendar. I read the book and absolutely loved it. The training plan is varied enough to keep me interested for a full 15 weeks. It is easy enough to incorporate into my everyday life, yet challenging enough so I feel as though I am prepared for the races. Last Monday started week 15…I was off and running! Monday: Three miles plus four “strides” (go all out for 30 seconds). I decided it would be a great idea to run at 9am. The heat wasn’t too bad until I got to the strides. Sweet Jesus. Tuesday: Four mile run. Did this in the evening and did have to walk some (hey, its still in the 80’s here in the evenings! ), it was an enjoyable run and actually ran farther than I needed because I felt so good at the end of the run. Thursday: 3 miles, one of which was all intervals. The intervals seemed easier this week, but I struggled that last mile home. My legs felt like lead, which I think is a good thing? Saturday: Long run of 6 miles. Swear to God….this seemed easier than last week. The great news? Even though I ran more last week, my knees, which had been giving me trouble for the past few weeks, seemed to respond well to the running and this week don’t hurt! Yippeee!! So far the training plan is working well with my particular schedule and isn’t too much above my abilities. For a first timer, this seems like the perfect plan! Questions: Are you training for a special race? After beating myself up for walking just a bit during a particularly hot long run, I saw this post. Completely redefined my relationship with walking during my runs. 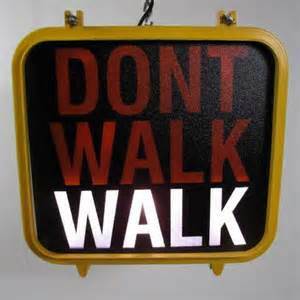 I still strive to not walk, but I will no longer get frustrated when I do. Heck I may even end up with a better pace time in the long run! When did walking become such a bad thing? I recently read a post from an acquaintance boasting about how they finally completed an entire half marathon without walking a single step. I was about to send them a congratulatory note on their race… then I continued reading their post. They went on to say that they ran the entire race much slower than they’d wanted and even had difficulty finishing. Their time was one of their worst ever (and this person is all about their finisher’s time), yet they acted like the race was an unmitigated success… simply because they didn’t walk. If their driving force is to get as fast a time as possible, why is that point ignored in the wake of “successfully” not walking?